Justin Vernon released Bon Iver's self-titled sophomore album more than two years ago (has it really been that long?) and according to recent developments, it may be the last we hear from the project for a long while. WAH. Vernon's been busy as of late, collaborating with big names like Kayne West on his new album, Yeezus, and Alicia Keys. He's also been keeping up with his side project, Volcano Choir, his band with fellow-Wisconsinites, Collections of Colonies of Bees, to release their second album, Repave. But before you jump to conclusions about the potential of laying Bon Iver completely to rest, Volcano Choir is a totally different animal in comparison. He's also teased, in an interview published in this week's in New York Magazine, about another project he's currently working on that's yet to be announced. I'm really honoured that Bon Iver gives me a platform to do whatever I want, but there's only so much time you can spend digging through yourself before you become insular. I'm not in a hurry to go back to that temperature. All of the music I've been making shifting away from Bon Iver feels really good ... so if I ever do go back to Bon Iver it will be all the better for it. 1) Does it seem a little greedy to anyone else that someone like Kanye West needs to consume Vernon when he's the self-proclaimed "greatest of all time"? Everyone bought his albums before, granted that Vernon also collaborated on My Beautiful Dark Twisted Fantasy, but that didn't deter him from Bon Iver, so whatever. Stay on your side, Kanye, end of story. 2) "Skinny Love" made us fall in love with a break-up song. But actually, according to Vernon, people play it at their wedding. Oopos. 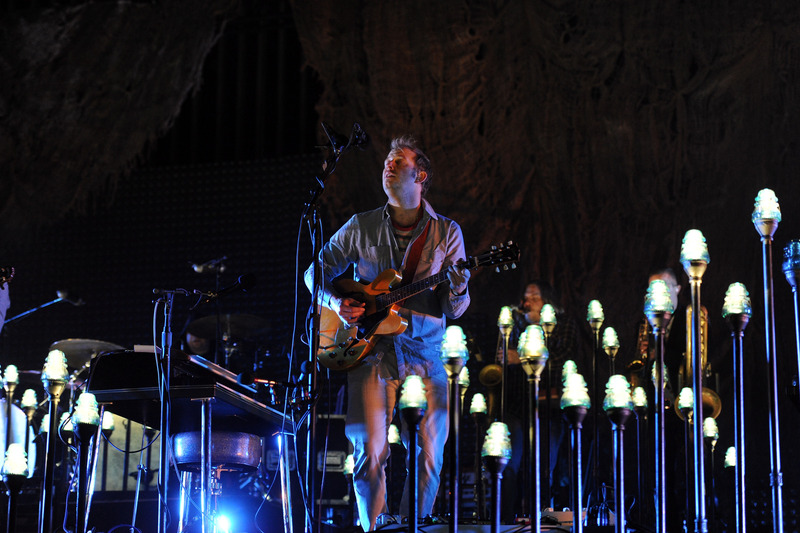 Bon Iver just turns ugly things beautiful, how can we hope to survive being deprived of that? 3) A year ago he told us that the attention on the band was too great and he needed to "walk away from it" while he still cared, and well, we know he still does. We also know the that Grammy weighs a lot on him and we understand, but it's not our fault. If he REALLY didn't care, he'd just break our hearts now and announce that he'll never, ever, ever get back together. You don't have to tell us now, Justin, but don't drag out the pain. We're letting the vulnerability show, so be gentle.